Libraries Rock! That’s the theme for Durham County Library’s 2018 Summer Reading Initiative. 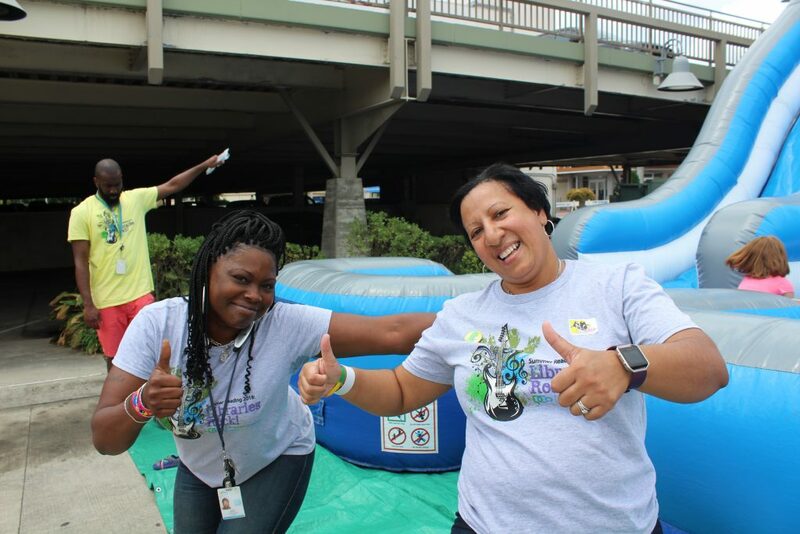 Our summer reading kickoff was held on June 9 at Northgate Mall and was well attended by the community, with people of all ages participating in a day of fun and promotion of reading during the summer months. Children had an opportunity to sign up for summer reading and were instructed on how to capture their reading minutes. There was something for everyone: a magic show, a ventriloquist, hula hooping, an inflatable slide, face painting, a live snake, and more. Don’t worry, we have plenty of other programs at each of our locations that you can participate in during the summer months. Visit our website at www.durhamcountylibrary.org for a list of events. I’m confident you won’t be disappointed by the fun activities being offered. I remember participating in the summer reading program in Sampson County when I was a child. I enjoyed reading and how it allowed my imagination to soar. At that time I didn’t realize the importance of reading while school was out of session. All along, my parents and the librarians were attempting to prevent the summer slide. This is the term used when students are out of school on summer break and lose some of the academic gains they have made over the school year. It was my goal as a child to read 100 books. If we read 100 books and shared with our teachers when school resumed, we received a t-shirt indicating we were part of the “100 Book Club”. I remember sporting my goldish yellow shirt with 100 books displayed in dark blue. Be on the look-out for the “100 Book Club” at Durham County Library. More details to come in the next couple of months. I want to bring a similar program to Durham so as to create wonderful memories for children right here in Durham. By the way, as you’re driving through Durham, look for our billboards indicating Libraries Rock! Be sure to drive safely while looking for our billboards. When you have a moment, post a comment indicating where you spot a DCo Library Rocks billboard. We have four billboards in total — hope you can spot them all. It’s about drawing attention to libraries, reading and the lasting impact that it has on our lives. 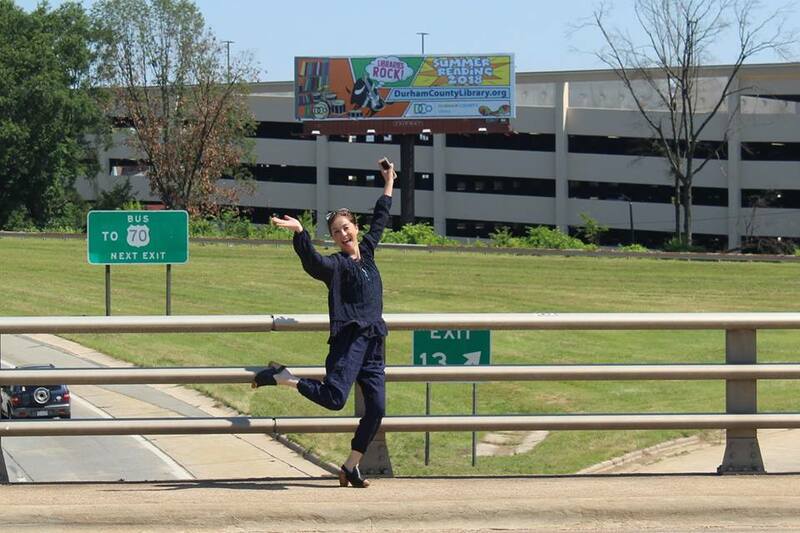 Here’s a picture of one of the billboards with the graphic designer Hitoko! She did a fabulous job. Happy reading all summer long. One reply to Summer Reading: Libraries Rock! Year-round reading helps give life meaning.